A variety of professionals is needed to produce a print newspaper. Careers in the field involve writing and editing, financial operations, administration, sales, marketing, graphic arts, circulation, and production. The decline of the newspaper industry in recent years has been well chronicled. The number of jobs is down considerably from the days when most people got their news from the daily paper. However, it remains a huge industry. 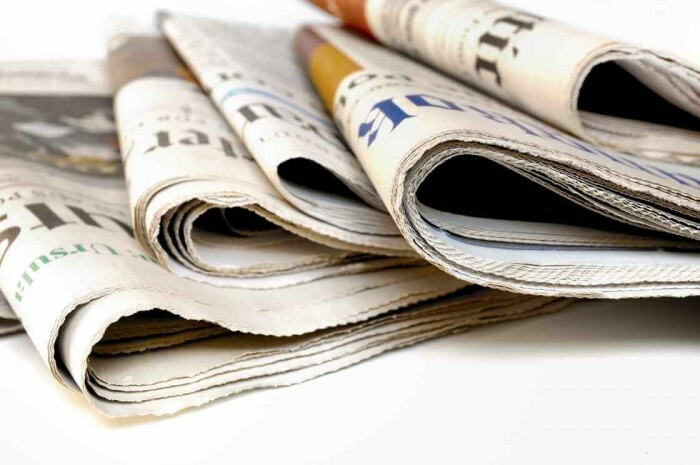 Newspapers are publishing online editions, which enhances future employment prospects. Here is an overview of career options provided by newspapers. The top job is that of the publisher, who supervises all departments (news, advertising, circulation, production, and the business office). This career often requires a graduate degree and significant experience. Publishers do not always have backgrounds in news reporting, but they generally hold business degrees. The news department is led by the editor (formerly called editor-in-chief), who reports to the publisher. The editor determines the stories to be covered, assigns reporters and photographers, and edits stories. The hiring and firing of newsroom employees is also part of the job description. With the publisher’s approval, the editor makes policy decisions regarding reporting, writing style, format and page layout, and employees’ duties. Editors usually have the final word in deciding the positions that papers take on their editorial pages, though publishers and owners sometimes get involved. A large daily paper may have a dozen or more lower-ranking editors. Those called copy editors are proofreaders who ensure that stories contain correct spelling and grammar. They are also fact checkers and newswriting-style experts, who ensure that reporters’ copy complies with rules set forth in books like “The Associated Press Stylebook” and the “Chicago Manual of Style.” The guidelines cover punctuation, capitalization, word usage, sentence structure, and other matters. An assignment editor decides which reporter should do a story. This person schedules everyone in the newsroom, making sure stories requested by the editor get done on time. Staffers heading city, state, and national news desks are among the other types of editors. There are also editors who specialize in sports, editorials, business, lifestyle, and other news sections. A small daily or weekly may not offer any of these positions. Some of them employ only an editor, copy editor, and sports editor. Though experience and proven ability may suffice, a journalism degree is typically required to be an editor. English majors also may qualify. The people who research and gather information, interview people, go to public meetings, and write newspaper stories are reporters. General-assignment reporters must familiarize themselves with a wide array of subject matter. Beat reporters are assigned to certain kinds of news, like the courts or the schools. Reporters may specialize in covering sports, law enforcement, business, and other types of news. It is possible to get a reporting job at a small paper with no education or experience. Just being a decent writer, willing to work for low wages, might be enough. However, a degree in journalism or English is usually preferred. Applicants are asked to provide samples of their writing. Some beginning photographers (like writers) see newspapers as an entry-level opportunity; a way to hone their skills and get their work published. Photographers frequently accompany reporters to news scenes, to take pictures that complement the stories. They shoot everything from artistic nature scenes to buzzer-beating basketball shots. Newspaper photographers may operate on a general-assignment or specialty basis. They are responsible for obtaining some information (like the correct spelling of the names of people in a picture), and may be asked to write captions (called cutlines). Proven ability and experience are more helpful than a college degree in getting the job. A staffer who writes headlines, and determines the arrangement of stories and photos on a page, is called a layout editor, page designer, or compositor. The editor provides direction as to which news should have the most prominent placement. For instance, the top stories go “above the fold” on Page 1. Modern newspaper layout is done on a computer screen, using a program like Pagemaker or InDesign. Advertisements are placed on a page first. The percentage of space remaining for news content is called the news hole. At small papers, the editor or copy editor may be responsible for page layout. Educational requirements vary. A newspaper could not exist without advertising, the major source of income for print papers in the United States. (In some countries, subscriptions bring in more money than the ads.) A big paper’s advertising department includes a manager, clerk-receptionists, sales agents, and graphic artists. Business majors, like administration and marketing, are appropriate for these careers. Newspaper businesses, unlike online news operations, must manually deliver a tangible product. Circulation managers conduct promotional campaigns to increase the number of subscribers. They supervise carriers, ensure that newstands and dispensing machines are stocked, and see that subscribers receive their papers. This position requires multiple skills, such as employee management, marketing, and public relations. Degrees in related fields may improve the odds of employment, especially at large dailies. A newspaper’s pressroom, where the product is printed, employs several types of workers. Someone has to be in charge of the operation, of course. This person supervises staffers, oversees equipment maintenance, orders supplies, and meets production deadlines. Others run the printing press, monitoring ink levels and other settings; and bundle newspapers for the carriers. These are considered manual-labor jobs that do not require post-secondary education, though an experienced pressman is highly valued because of the expertise required. Bookkeepers, accountants, payroll managers, clerks, receptionists, human-resources staff, and cashiers are among the employees that may be found in a newspaper’s business office. Other clerical staffers are needed to pay bills, issue invoices, and file reports. Employers prefer applicants with business-related education and retail-sales experience. Information-technology jobs also are available. A large paper may have a business-systems manager, desktop-systems analyst and specialist, networks-operations expert, networking systems analyst, other tech-support staff. The U.S. Bureau of Labor Statistics has predicted that the number of jobs available for reporters, correspondents, and broadcast news analysts will decline by 7,200 (13 percent) between 2012 and 2022. Other newspaper employees also are seeing dwindling opportunities, as advertising continues to shift away from print publications.